Methodist missionary George Brown was born in England and migrated to New Zealand in 1855. He worked first in Samoa and later in Fiji, Tonga and elsewhere. 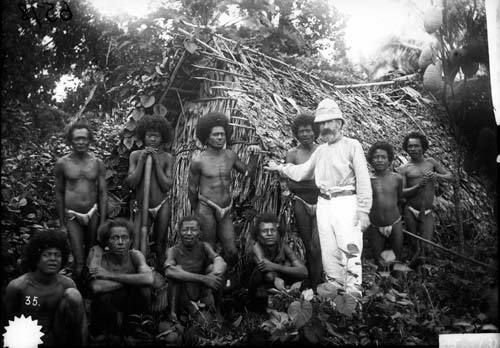 He is shown here with local people in south-east New Guinea in 1890, during a journey to find a site for a principal Methodist mission in what later became Papua New Guinea.